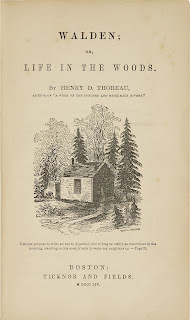 When I wrote the following pages, or rather the bulk of them, I lived alone, in the woods, a mile from any neighbor, in a house which I had built myself, on the shore of Walden Pond in Concord Massachusetts. I lived there two years and two months, immersing myself in nature, self-reliance, simple living, and personal introspection. The mass of men lead lives of quiet desperation. But my life is anything but quiet or desperate. 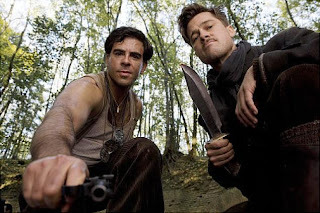 You see, I'm in the killin' Nazi business, and cousin, business is a-boomin! It all began shortly after my arrival at Walden Pond. I was pondering the indescribable innocence and beneficence of nature and the notion that time is but the stream I go a-fishing in when my reveries were interrupted by a strenuous knock on the door of my small but thoroughly amenable tightly shingled and plastered cottage perched within the New England countryside. 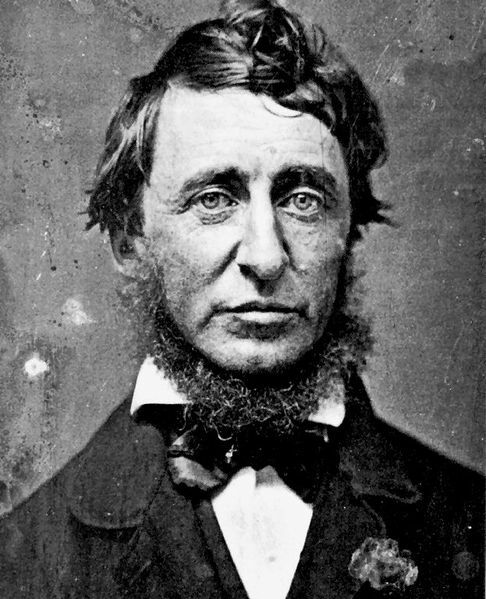 "Are you Mr. Henry David Thoreau, the transcendentalist?" called a voice through the cottage window from the direction of the bean field I had diligently and gingerly planted and was so tenderly nurturing. 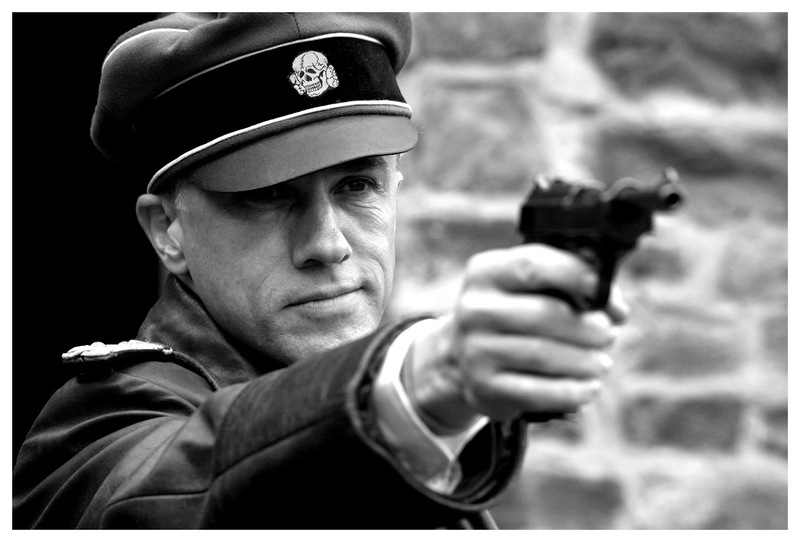 "I am Colonel Hans Landa, the Jew Hunter." Now I think that I love society as much as most and am ready enough to fasten myself to any full-blooded man that comes in my way, so I welcomed Colonel Landa as proudly as Chanticleer into my humble yet fully self-sufficient dwelling abode. "May I smoke my pipe?" inquired the Colonel. In the spirit of fellowship and conviviality, I nodded in the assent. "So you're the Jew Hunter?" I asked of the Colonel. "That's a bingo!" replied Colonel Landa with churlish frivolity. 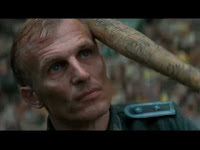 "Colonel Landa," I offered in deepest sincerity, "I know of no more encouraging fact than the unquestionable ability of man to elevate his life by a conscious endeavor." "Mr. Thoreau," retorted the Colonel with brusqueness of a most crude and acute nature, "I must now search your house for Jews, unless you have something to tell me that makes the conduct of a search unnecessary." It was a propitious moment for Colonel Hans Landa to meet his transcendental maker. "This will make the conduct of your search unnecessary!" I shouted, quickly reaching under the table and pulling out my Glock 34 Semi-Automatic Pistol, a present from Emerson. I blasted Landa all the way to Walden Pond, where his blood drenched pulverized remains scattered into fish food for the random pickerel, perch, and pouts which local industrious fishermen are wont to catch in its expressive translucent waters. I went to the woods because I wished to live deliberately, to front only the essential facts of life, and see if I could not learn what it had to teach, and not, when I came to die, discover that I had not lived. What I learned, what nature had to teach, was that I wanted me 100 Nazi scalps real bad! And I did not want to discover when I came to die that I had one Nazi scalp less. After that my life became a 24/7 Kill Wilhelm-A-Thon! I destroyed Nazis by bashing in their brains with baseball bats, choking them with wild hickory nuts, slicing and dicing them with a machete, and reading them the first draft of my chapter on Economy with special emphasis on the accounting and bookkeeping details. Once I dispatched a Nazi by reading him the entire First Series of Emerson's Essays after which I carved a giant likeness of a loon landing upon Flint's Pond on his forehead. I think this just might be my masterpiece! The day is an epitome of the year: the night is the winter, the morning and evening are the spring and fall, and the noon is the summer. I prefer the winter for killin' Nazis because I hate to get up early. If a man does not keep pace with his companions, perhaps it is because he hears a different drummer. Let him step to the music which he hears, however measured or far away. But if the music be Wagner, shoot him right through the head! 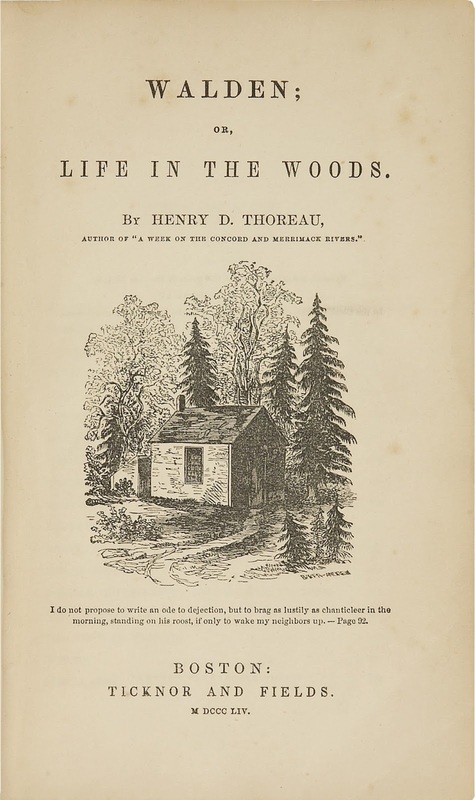 I finally left Walden September 6th, 1847 as it seemed to me that it was time to look onward to the morrow. I do not say that John or Jonathan will realize all this, but only that day dawns to which we are awake. There is more day to dawn. The sun is but a morning star. 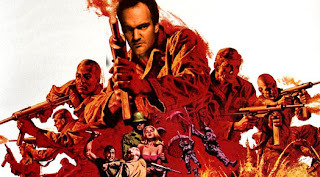 When the next day dawned I asked Marsellus Wallace for a job, and I turned out to be one hell of a hit man. I even got to work with John or Jonathan Travolta! If you liked this post, you might also like Rhinoceros Impoceros, 1984 Once More, Slight Club, and The Metamorphosis, The Musical. If you hated this post, I hope you spend the rest of your entire life sitting through a lecture on Walden by an Associate Professor at a third rate university with only occasional short breaks to watch Kill Bill Volume 1 and Kill Bill Volume 2 over and over and over and over! Fun. Kind of like Tarzan meets Abe Lincoln. Yes, if Abe Lincoln shot Tarzan with an assault rifle and then had to thoroughly clean the blood from the tree he was in under Harvey Keitel's direction. Thanks, Linda! I tracked several of the major scenes, some of which are linked here. I just love re-doing classic movies and books in incongruous fashion like this one. I'm working on "Inception" with Raymond Burr artificially inserted to explain the plot, a la Godzilla.